One sunny afternoon last April during the UVA football team's spring practice, Dr. Mary Laughlin strode on to the field. The doctor walked past a row of sweaty, tired players without lingering on their taped ankles, bruised forearms or sore shins. Instead, she headed straight for Coach Mike London, smiled, and extended her hand. It was their first meeting, and likely the first time a world-renowned stem cell biologist ever interrupted a football coach in the middle of a practice. As unlikely a pair as they may seem, Laughlin and London, both hired by UVA in 2010, find themselves on the same team trying to improve the survival rate for those afflicted with cancer and blood disorders. London, whose daughter Ticynn survived a critical bout with a rare blood disorder, has become a bone marrow donation advocate, hosting annual University-wide drives since taking the reins as head coach. The drives have so far identified two UVA football players and one other UVA student as matches for patients in need of bone marrow donations. Laughlin, meanwhile, is building a program that culls stem cells from umbilical cords to treat those in need of bone marrow transplants. She conducted her first transplant at UVA last winter and expects to complete about 100 transplants here by the end of this year. "While [Coach London and I] are in very different professions, we share a deep commitment [to making sure] as many people as possible will have access to potentially life-saving treatments for blood cancers and other diseases of the blood," Laughlin says. In January 2000, Ticynn London, who was 4 years old at the time, came down with what was thought to be a bad cold. When she did not recover for several weeks, London and his wife, Regina, took her to a local hospital in Massachusetts, where London was an assistant coach at Boston College. Ticynn was soon transferred to Boston Children's Hospital where doctors diagnosed her with Fanconi anemia, an extremely rare genetic disorder of the blood that often leads to cancer and complete bone marrow failure. "It was devastating, you know, as a young parent," London says, choking back tears a dozen years after the diagnosis. After Ticynn's diagnosis, doctors monitored her blood cell counts, and she had to fight off a constant threat of infections because of her depleted immune system. 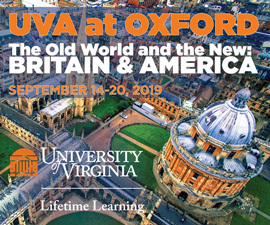 That same year, London was recruited from Boston to UVA as a defensive line coach. The closest treatment center for Ticynn at that time was at Johns Hopkins' Sidney Kimmel Comprehensive Cancer Center in Baltimore. During her treatment, doctors began looking for a bone marrow donor for Ticynn. First they tried the National Marrow Donor Program, but they had long odds before they even clicked open the group's database: Only about 15 percent of African Americans find matches in the group's registry. "I thought we were going to beat the odds with the national registry," London says. "Hopkins had the best track record at the time." But there was no match for Ticynn. Doctors then tested her siblings. Nothing. As a last resort, they tested London and Regina. Regina's test came back negative, but London turned out to be a near-perfect match. The results were almost unheard of—parents have about a 1 in 10,000 chance of being a match for their children. "You know, doctors don't say the word 'miracle' very much, but in this situation, that's what it was," London says. Once London's matching marrow was discovered, the doctors at Hopkins waited a few years for Ticynn's health to be strong enough to sustain the procedure, monitoring her blood cell count all the while. In the spring of 2003, at age seven, Ticynn underwent the bone marrow transplant. The entire process took several months. First Ticynn had to endure chemotherapy and radiation, which depleted her own blood cells in order to make room for her father's. London recalls one night watching his young daughter scribble in a coloring book while his wife brushed her hair. It had begun to fall out because of the chemo. "My daughter looked up and said, 'Mom, just cut it off, it's falling onto my pages.'" During these months London spent his weekdays coaching and his nights fixing supper and checking over homework for his six other children. On Saturdays after practice he'd pack up the car and he and his children would head up to Baltimore to be with Ticynn and his wife. On the day of the transplant, London sat by Ticynn's bedside immediately after the procedure, waiting to see if her white blood cell count would rise, a sign her body was accepting the transplant. The anxiety in the room was palpable, especially when Ticynn sat up suddenly in bed. But her burst of energy was a sign of only good things—within the first few minutes, her numbers started to go up. And up. And up. "I kinda saw it like a game," London says. "Like, she's at the 10, the 15, the 25, she's going all the way." Three hours later, Ticynn's white blood cell count was 10 times what it had been when the transplant started. London says Ticynn was calm: "All she knew was that she found a donor and it was her dad." 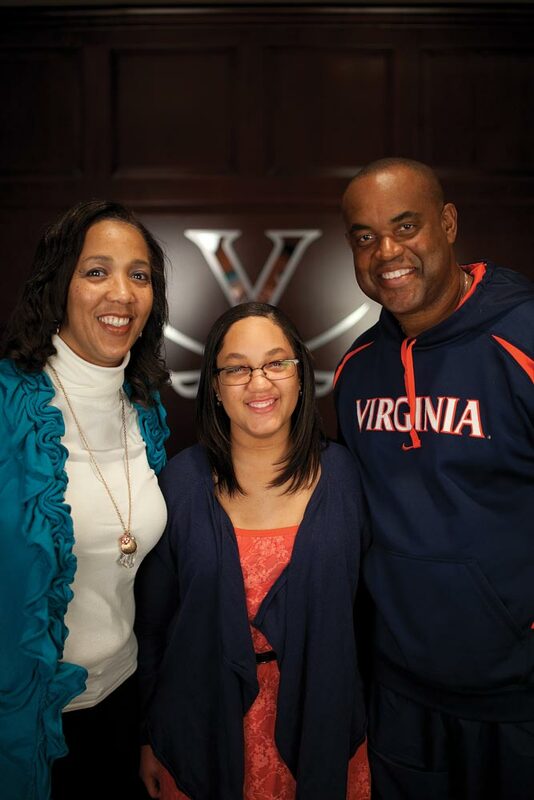 Since coming to UVA, London has made bone marrow transplant donation advocacy a big part his team's off-the-field activities. He hired Steve Atkinson to serve as director of player development, a position designed to maximize players' experience at the University. Atkinson coordinates a number of service projects for London. The football team hosts the annual Grounds-wide bone marrow drives, called Get in the Game: Save a Life, and regularly participates in youth outreach efforts such as inviting children with cancer to practices at Scott Stadium. London is now in the early stages of starting a foundation called 2Marrow's Kids, which will help increase participation in bone marrow registration. He's also been working with Florida State University coach Jimbo Fisher, whose son also has Fanconi anemia and who has his own foundation. Last season, the two coaches used the UVA game at Florida State University to promote both foundations and raise awareness about bone marrow testing. London also led his team to a victory that day, their first-ever win in Tallahassee. Lately, London can be seen in online ads donning a cape for an organ donation nonprofit in Virginia, looking for donor "heroes." "It's Coach London's philosophy that our players are blessed and gifted with athletic ability and have a responsibility to give back to people who are less fortunate—in terms of health or if somebody just needs a pat on the back," says Atkinson. "The community supports us, and we need to support the community." Atkinson says that London wasn't necessarily hired to improve the team's service record, but with London's personality, it was inevitable. "That's just who Mike is," Atkinson says. "He fills a gap if he sees one and community service isn't something he had to get outside of his comfort zone to do." When Dr. Laughlin performed her first bone marrow transplant at the Emily Couric Clinical Cancer Center this past winter, it was cause for celebration. It had been five years since a transplant like it was done in Charlottesville, a fact that had beleaguered the hospital administration. "The University hospital is a National Cancer Institute-designated cancer center," said Dr. Geoffrey Weiss, a UVA hematology and oncology doctor and one of the key figures in Laughlin's hiring. "It seemed a major hole not to have an investigational stem cell transplant program that would be a component of the cancer center's research effort," he says. Laughlin was medical director at the Cleveland Cord Blood Center, but the allure of founding a program at UVA proved enough to get her here. "One of the things that initially drew me to Charlottesville was the beauty of the area and my feeling that it would be a great place for patients undergoing complex medical therapies to heal," Laughlin says. "What we have built is a destination for patients to receive cutting-edge transplant therapies and for innovative research on utilizing cord blood-derived stem cells to treat diseases. 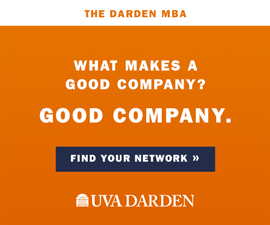 The UVA program is satisfying a huge unmet need in Virginia." Now, patients like Ticynn don't have to undergo treatment hours away from their home. Laughlin and her team are performing two to three cord blood transplants every week, and are expected to perform about 100 annually. Laughlin has been a leader in making use of cells that are normally thrown away in medical waste bins across the world: rich, blood-forming cells found in the umbilical cord. "Umbilical cord blood is chock full of stem cells," Laughlin says. "And it's rare that we don't find excellent cord blood grafts for our patients." Cord blood transplants have several advantages over those done with bone marrow. They can be shipped frozen, which is particularly important for patients with fast-acting cancers. And a perfect match isn't necessary with cord blood—a close match is enough. Most important, the chances of their bodies rejecting the cord cells are significantly lower than bone marrow transplants from unrelated donors. Since the first cord blood transplant was done 23 years ago, 24,000 people have undergone the procedure. In 1993, after doctors had been doing cord blood transplants on children for a few years, it was Laughlin, then at Duke University, who became the first doctor to perform an unrelated cord blood transplant on an adult. Her patients since then have included Gayle Serls, who underwent the cord blood therapy in 1996 after being told there was no other weapon left to fight her lymphocytic leukemia. Because of Laughlin's procedure Serls is now the longest-surviving female cord blood recipient in the world. Fans can follow the team’s outreach through the Hoo’s in the ‘Ville Facebook page, where the team documents and promotes their service events. Laughlin's research is now extending beyond treatment of patients with blood-borne diseases. There is a potential for cord blood cells to help in the treatment of spinal cord injury, heart disease, diabetes and Parkinson's disease. "We were initially interested in [Dr. Laughlin] because she's got a great national reputation as both an organizer and an innovator," says Dr. Michael Weber, director of the UVA Cancer Center. "But there's also almost a spiritual sense to her level of commitment." 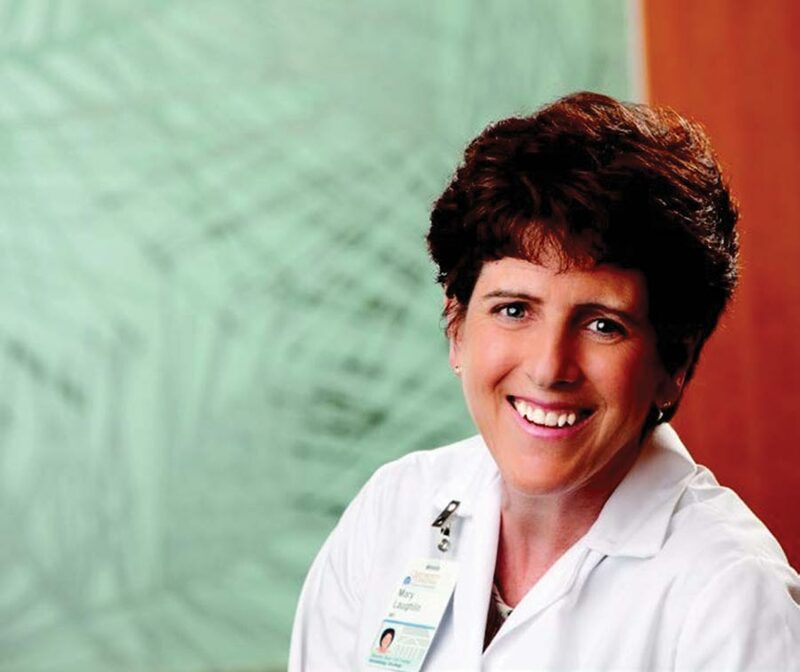 One unintended consequence of luring Laughlin to UVA is that other doctors have flocked to the Couric center to work with her, said Weber and Weiss. That allows the center to pick from the best and the brightest as it grows. Later this year, London and his team have plans to tour Laughlin's turf at the Couric Center. There, amid burly football players and buttoned-up doctors, London will shake Laughlin's hand, solidifying the union of two disparate but crucial parts of the University's fight against cancer. "Dr. Mary Laughlin is an expert … and is one of the very best in the world," London says. "I am proud that she is here and on the cutting edge of cord blood transplants."